When we refer to “we”, “us” or “our”, we mean The LA Fashion Magazine website. Where we refer to “you” or “your” we mean you, the person using the Services. We have used headings to help you understand these Terms and Conditions and to easily locate information. These Terms and Conditions are only available in the English language. We will not file copies of the contracts between us and you relating to our supply of the Services, or between you and the Designers and Partner Boutiques relating to the sale of the products, so we recommend that you print or save a copy of these Terms and Conditions for your records (but please note that we may amend these Terms and Conditions from time to time so please check the Website regularly, and each time you use the Services to order products, to ensure you understand the legal terms which apply at that time). 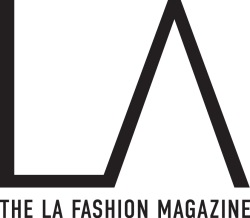 We are The LA Fashion Multi Media Inc. and we operate the website. We are a company registered in the United States, our registered office is at 120 E. 8th St. Ste. #405 Los Angeles, CA 90014. We provide the Services to you through the Website. Further details of the Services we provide are set out in section 3 below. When you purchase products using the Website, you are purchasing them from the third party retailers (“Designer(s)” and “Partner Boutique(s)”) named on the Website. It is important that you understand that the contract for the purchase of the products is between you and the relevant Partner Designer and Boutiques. We are authorized by the relevant Partner Designer and Boutiques to conclude the contract on their behalf but we are not a party to that contract and you are not purchasing the products from us. Further details about the products, the Designer and Partner Boutiques and the contract between you and the Designer and Partner Boutiques in relation to your purchase of the products are set out in sections 5, 6 and 7 below. The Services we offer allow you to search through the Website and purchase products from a number of Designer and Partner Boutiques. As part of the Services, we also provide some ancillary services such as arranging delivery of the products. However, as stated above, the contract for the purchase of the products is between you and the Partner Boutique. This means that it is the Designer and Partner Boutique (not us) who is legally responsible for selling the products to you. We attempt to be as accurate as possible in the description of the products. However, as the descriptions are based on information provided to us by the Designer(s) and Partner Boutiques, we cannot guarantee that any descriptions are totally accurate, complete, reliable or error-free. The images of the products on the Website are for illustrative purposes only. Although we attempt to display the colors accurately, we cannot guarantee that your computer’s display of the colors accurately reflects the color of the products. We do not allow Designer or Partner Boutiques to offer flawed products or products of lower quality than the corresponding market standards for sale on the Website. If products you have ordered are not as described, flawed or of a lower quality than the corresponding market standards, you can return them to us and we will liaise with the Designer and Partner Boutique on your behalf and you will receive a full refund of the price of the defective product, any applicable delivery charges and any reasonable costs you incur in returning the products (we will advise you whether the products will be collected from you or whether you need to arrange for them to be returned). Please see section 10 below for details of how to return products to us. The products sold by the Designer and the Partner Boutiques are supplied for your domestic and private use only. You agree that you will not use the products for any commercial, business or re-sale purposes. Neither we nor the Designer or Partner Boutiques have any liability to you for any loss of profit, loss of business, business interruption, or loss of business opportunity. As explained above, the contract for the purchase of the products is between you and the relevant Designer(s) and Partner Boutique. We are authorized by the relevant Designer(s) and Partner Boutique to conclude the contract on its behalf but we are not a party to that contract and you are not purchasing the products from us. We request that all Designer and Partner Boutiques using the Website have and maintain reasonable business policies which comply with our business policies. We cannot, however, be responsible for the Designer and Partner Boutiques’ business policies. If you are unhappy with the product or service you have received from a Designer(s) or Partner Boutique, you should contact us and we will liaise with the relevant Designer or Partner Boutique on your behalf to try and resolve the issue. By completing the check-out process and placing an order, you are offering to purchase the products from the relevant Designer and Partner Boutiques (and not directly from us). Your order for the products is subject to these Terms and Conditions which are incorporated into the contract between you and the relevant Designer or Partner Boutique. All orders are subject to availability and confirmation of the order price. To order products you must be over 18 years of age and possess a valid credit or debit card (please see section (c) below for details of acceptable payment methods). By placing an order, you are promising that all details you provide are true and accurate, that you are over 18 years of age, that you are an authorized user of the credit or debit card used to place your order and that there are sufficient funds in the account to cover the cost of your order. The Website allows you to check your order and correct any errors before sending it. Please take the time to read and check your order at each page of the order process as you are responsible for ensuring that the information you provide is accurate (for example, the correct products, quantities, size, color, etc.). The identity of the Designer and Partner Boutique is shown on the product page of the relevant products, in your basket when the products are added and on the order confirmation page when you place an order. When you place an order, you will receive an acknowledgement email confirming receipt of your order. This email is only an acknowledgement for information purposes and it does not constitute acceptance of your order by the Partner Boutique. The contract between you and the Designer and Partner Boutique in relation to the products will not be formed until we have checked that the Designer or Partner Boutique accepts your order. Only those products listed in the confirmation email are included in the contract between you and the Designer or Partner Boutique. Whilst we try and ensure that all details, descriptions and prices that appear on the Website are accurate, as this information is provided to us by the Designer or Partner Boutiques, there may be cases where errors occur. We are not responsible for errors or inaccuracies of designer or partner boutique. If you cancel and you have already paid for the products, you will receive a full refund. We accept: Visa, MasterCard, American Express, Discover, PayPal as forms of payment. When you place your order, your form of payment will be charged. If your order is cancelled for any reason, the authorization will automatically be removed in 5-7 business days. Once we have verified your payment details and the Designer or Partner Boutique has accepted and approved your order for delivery, we will email you to inform you of this. In the unlikely event that we or the Designer or Partner Boutiques encounter a problem when processing your order, we will email you explaining the problem and possibly requesting further information to try and resolve the problem. We reserve the right not to submit your order to the Designer or Partner Boutiques, and the Designer or Partner Boutiques reserve the right not to accept your order if, for example, the product ordered is out of stock, has been withdrawn or is otherwise not available, or if we are unable to obtain authorization for your payment or if you do not meet the eligibility criteria (e.g. you are under 18). Once your payment is confirmed the Designer or Partner Boutique will ship your order and once shipped, add a shipping/tracking number to your order. Delivery times may vary depending on the availability of the products and your delivery address. Delivery times are based off of tracking number only and cannot be guaranteed. The products will be delivered to you directly by the Designer or Partner Boutiques so your order may be delivered in multiple deliveries. Please take the time to read the Shipping/Returns page. Depending on where you live, if you are a consumer you have a legal right to cancel your order under the Consumer Protection (Distance Selling) Regulations 2000 (“DSRs”). This means that, during a certain period, if you change your mind or for any other reason you decide you do not want to keep the products, you can notify us of your decision to cancel and receive a refund from the relevant Designer or Partner Boutiques. Please see the “EU DISTANCE SELLING REGULATIONS (DSR)” section of the Returns Policy for details of when and how you can cancel your order under the DSRs. When you visit the Website and/or submit an order, you are communicating with us electronically and you agree that all agreements, notices, disclosures and other communications that we send to you electronically (whether on our behalf or on behalf of the Designer or Partner Boutiques) satisfy any legal requirement that same communications be in writing. To send, use or reuse any material that is: (i) illegal, offensive, abusive, indecent, defamatory, obscene or menacing, and/or (ii) in breach of copyright, trademark, confidence, privacy or any other right, and/or (iii) otherwise injurious to third parties, and/or (iv) objectionable, and/or (v) which consists of or contains software viruses, political campaigning, commercial solicitation, chain letters, mass mailings or any “spam”. To cause harm, annoyance, inconvenience or needless anxiety to any person. Breaching these provisions would constitute a criminal offense under the Computer Misuse Act 1990. We, in compliance with any enforceable law or public order, will report any such breach to the relevant law enforcement authorities and disclose your identity to them. Please note that we only provide the Website for domestic, international and private use and, as such, we have no liability to you for any loss of profit, loss of business, business interruption, or loss of business opportunity. Different limitations and exclusions of liability will apply to liability arising as a result of our supply of the Services to you (as set out in section 4) and the Partner Boutiques’ supply of the products to you. As a reputable and trusted business committed to offering its customers high quality products, we recognize our obligation to ensure that all Partner Boutiques and other suppliers are operating ethically. We expect all Partner Boutiques and other suppliers to consistently provide an environment which protects their employees’ health and safety and basic human rights. All Partner Boutiques and other suppliers are expected to comply with their national employment laws and regulations with particular regard to: minimum age of employment, freely chosen employment, health and safety, freedom of association and the right to collective bargaining, no discrimination, no harsh or inhumane treatment, working hours, rates of pay and terms of employment. We will never knowingly allow a Designer or Partner Boutique to offer its products on the Website if such products are sourced from countries which are in breach of these principles. We also look to the Designer or Partner Boutiques and other suppliers to instill these principles when dealing with their own supplier base. Because of the sometimes complex nature of the Partner Boutiques and other suppliers’ supply chain, it is not always possible to monitor and control the conditions of each individual involved in the production of the products. However, as we continue to grow, we recognize the importance of being proactive and doing everything within our power to support the rights of those involved in the manufacture of the products. Sever-ability- Each of the sections and paragraphs of these Terms and Conditions operates separately. If any court or relevant authority decides that any of them are unlawful or unenforceable, the remaining sections and paragraphs will remain in full force and effect. Events outside of our control – We and the Designer or Partner Boutiques will not be liable or responsible for any failure to perform, or delay in performance of, any of our obligations to you if such failure or delay is caused by an event outside of our control, such as shipping and delivery channels. An event outside of our control means any act or event beyond our or the Partner Boutiques’ reasonable control such as act(s) of God, wars, terrorist attacks, embargo’s, riots, strikes, lock-outs, trade disputes, fires, floods, earthquakes or other natural disasters, break-down, inclement weather, interruption of transport, Government action or failure of public or private telecommunications or transport networks. If such an event takes place and it affects the performance of our or the Designer or Partner Boutiques’ obligations to you: (i) we will contact you as soon as reasonably possible to notify you; and (ii) our and the Partner Boutiques’ obligations to you will be suspended for the duration of the event. Where the event affects delivery of products to you, we will contact you to arrange a new delivery date after the event is over.